PTC ThingWorx® and Axeda® technology to integrate with Salesforce Analytics Cloud to provide customers with visual analytics tools that leverage data from smart, connected products | Wave, the Salesforce Analytics Cloud, is the first cloud analytics platform designed for every business user, making it easier than ever for anyone to explore data, uncover new insights and take action instantly from any device. Continuing with its Internet of Things strategy to enable customers to bring smart, connected products to market faster, PTC (Nasdaq: PTC) today announced it has joined the Salesforce Analytics Cloud ecosystem. 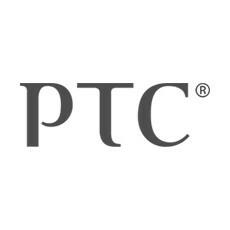 PTC will use its PTC ThingWorx and PTC Axeda Machine Cloud® technology to extend Wave by providing access to streaming Internet of Things (IoT) data from smart, connected products. Specifically, the integration will empower PTC and Salesforce customers to view data generated in a unified experience. The insights gained from the data will allow business units across an organization to more easily develop data analytic strategies that deliver stronger business value to their customers. A unified IoT analytics experience in the cloud. The PTC Axeda Machine Cloud accelerates collaboration and offer customers a holistic view of the IoT data across business systems. Competitive advantage through analytics. Data from smart, connected products provides an opportunity for business organizations to make more informed decisions that drive stronger customer and business value. Effective customer engagement. Putting data from smart, connected products in the hands of customer-facing employees enables them to customize service for better product performance, proactive customer service and improved account management. “The convergence of mobile, social and cloud computing has sparked a data revolution, and companies today must leverage data-driven insights to connect with their customers in a whole new way,” said Keith Bigelow, senior vice president & general manager, Salesforce Analytics Cloud, salesforce.com. PTC will demonstrate the integration with the new Salesforce Analytics Cloud during Dreamforce 2014, October 13-16, 2014 in San Francisco at the PTC ThingWorx booth in the IoT Development Zone during exhibitor hours.